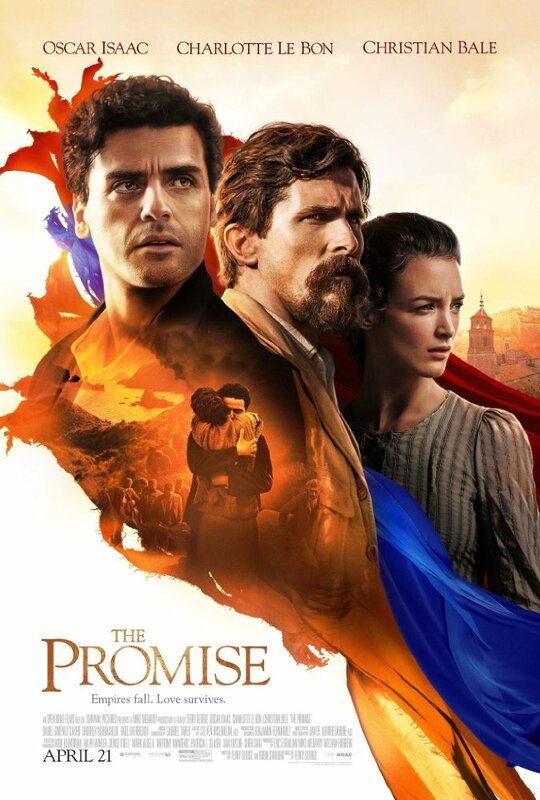 The Promise, directed by Academy Award winning filmmaker Terry George, follows an Armenian medical student during the the fall of the Ottoman Empire during World War I. The film is very much a love story at its core, but the central conflict is the Ottoman Empire’s systematic approach to exterminating the Armenian population – known today as the Armenian Genocide. 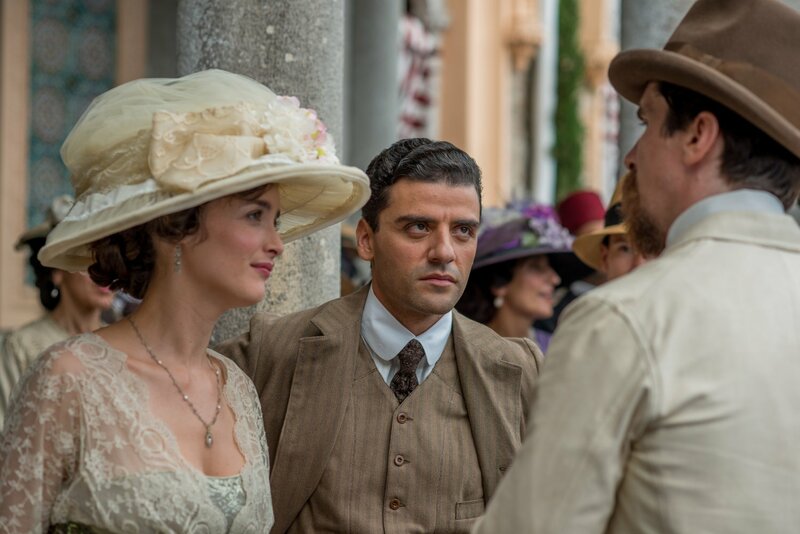 Oscar Isaac (Ex Machina, The Force Awakens) shines as he portrays the film’s central character, Michael – a brilliant Armenian medical student studying in Turkey. The film opens with Michael accepting a loan of 400 gold coins to attend medical school in exchange or the promise to marry the lender’s daughter upon his return. While in school, war breaks out in Turkey, and Michael’s life (as well as his family’s lives) becomes endangered. An internal conflict also arises as he meets Ana (Charlotte Le Bon), a charming Armenian woman who is also staying with his uncle. While Michael develops feelings for Ana, he knows he must remain loyal to his betrothed and in turn, respect her relationship with an American journalist named Chris Myers (Christian Bale). Bale is as good as ever, but I found his character to be the least interesting of the trio. Le Bon, on the other hand, had the most surprising performance in this movie. I had never seen the actress prior, who was a breath of fresh air, and perfectly complimented the always-wonderful Isaac. During the crisis and constant threat of danger, Le Bon managed to bring a lot of charm as she worked with the children she was trying to keep safe. There’s a heartwarming scene by a campfire where she all but makes them forget about the cruelty of the world, as they sing along to an Armenian tune. And she does so with such enthusiasm and hopefulness. At other times, you can see the heartbreak and pain in her eyes as the story continues to unfold. I look forward to seeing more of Le Bon in the future. While The Promise delivers gorgeous cinematography at times, it struggles with pacing from an early point. They introduce some pivotal characters, but I feel like not enough time was spent developing them, namely the character of Emre – a fellow medical student Michael befriends in the opening minutes. Emre is the son of a high ranking official in the Turkish government, and it’s evident throughout the film that his actions are only ever what’s expected of him by his father and not what he truly wants to do. It’s not until the third act in which he shows up again to make a decision of his own for the first time and face the consequences. In the end, I enjoyed The Promise. While it starts off rather slowly, the tension builds at a steady rate – keeping the viewer interested until it escalates rapidly into a war movie in the final act. The cast and the characters were great, and I was pleasantly surprised by a couple of appearances – James Cromwell in particular, whose casting in the film was a pleasant surprise. Although it was brief, Cromwell made his presence known and was fantastic in his scenes. While it was a fictional love story, I do respect the screenwriters and the studio for centering the movie around a historical event that some may not know much about. Much like The Zookeeper’s Wife recently, I was intrigued by the history which film was based around. If a film can pull its viewers in so much that they want to revisit world history, there’s something to say about its effectiveness.